TOKYO (Bloomberg) -- Takata Corp., the Japanese supplier whose airbags have been linked to six fatalities globally, has been sued in Canada in three separate cases, it said in a statement today. Three plaintiffs in Windsor, Ontario, are seeking combined damages of 2.4 billion Canadian dollars ($1.9 billion) on behalf of owners of vehicles equipped with Takata-made airbags, the company said in the statement to the Tokyo Stock Exchange today. The actual penalty amount will be difficult to estimate, and Takata hasn’t factored it into the current fiscal year’s earnings forecast, it said. 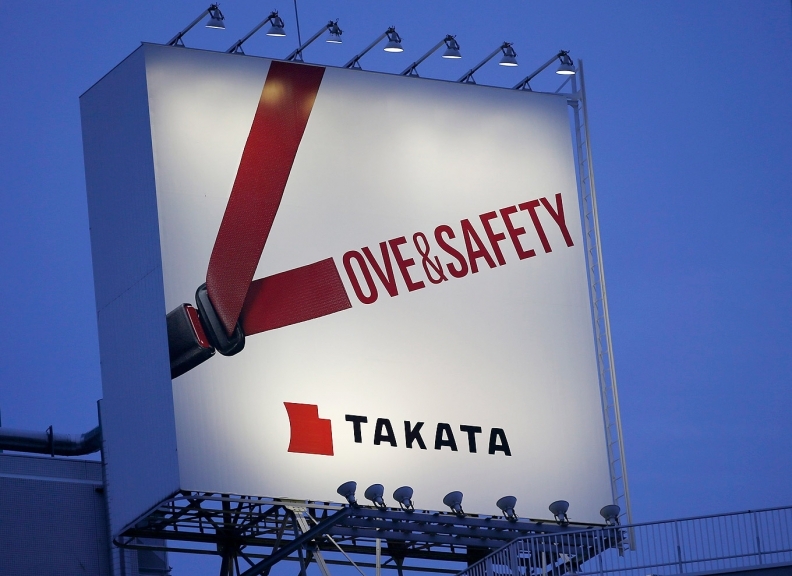 The lawsuits were spurred by a series of recalls of vehicles with Takata airbags. Regulators and carmakers are investigating airbag inflators that may malfunction, deploying with too much force and shooting metal pieces into drivers and passengers. Takata has been the target of dozens of proposed class actions in the U.S. by customers claiming losses in vehicle value. About 25 million vehicles equipped with Takata airbags have been recalled globally since 2008, according to Reuters estimates.